In this episode we discuss how to install smart home lighting and how to control your smart home lighting with voice. 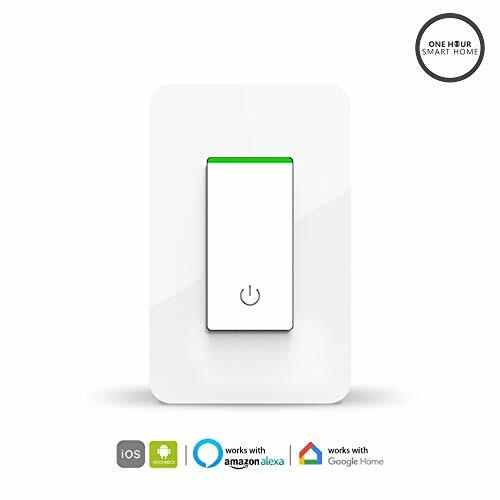 You can install smart home wifi light switches that work with your existing home wiring and allow you to control your smart home with voice or using your phone from anywhere in the world. Smart home lighting and smart home light switches are a dramatic upgrade that will increase the functionality and value of your home. Upgrading your smart home with smart lighting is one of the best upgrades you can make to your home, because the average person turns on/off light switches over 30 times a day. There is nothing better than laying in bed at the end of a long day and telling Alexa to turn off the lights for you. Automating your home with smart home lighting will make your life easier, you don't need to worry about if you or your kids left the lights on downstairs just ask Alexa to turn off the lights for you. Don't want to get out of bed to turn off the lights? Just ask Alexa to do it. Did someone leave the lights on in the basement, just ask Alexa to turn them off. With automated control of your lighting you can set schedules to automatically turn off your lights when you leave for the day. It's an easy way to save energy if you forget to turn off the lights. Having full control of your lighting form anywhere in the world also makes it much easier to keep tabs on what is going on in your home and turn the lights down to help you save energy. Automated smart home lighting will increase the value of your home, over 73% of new home buyers are willing to pay more for smart home technology in their homes. 4. Schedule lighting to turn on while you are away to make it look like your home. Are you going on vacation but you want to make it look like your home? Forget the old school plug in timers, now you can turn your lights on while your sitting on the beach enjoying your vacation. How to connect your smart home lighting to Amazon Alexa for voice control. What you need to know before you install smart lighting in your home. How smart home lighting works. Three different options for controlling your smart home lighting: Smart Light Bulbs, Smart Light Switches & Smart Plugs. Using voice to control your smart home lighting. BUY OUR SMART HOME PRODUCTS ON: Amazon.com. I personally design, test and install all of the products we manufacture in my home, so you can trust they work and are the best on the market. On Amazon we offer hassle free returns, but know you won't need this. We also offer an industry leading 1 year warranty for free on all devices we sell on amazon. Just contact info@onehoursmarthome.com for a no hassle replacement. Amazon Alexa Spot-My favorite Amazon Alexa device. 2:00 Everything you need to know to automate your home lighting with voice. 3:00 Phillips Hue is the leader in smart light bulbs. 3:57 One major issue with Phillips hue lighting is that the light bulbs will only work when they have power 100% of the time. 6:30 Z-Wave light switches require a smart home hub in order to work such as smartthings or wink. 7:00 You have an extra layer when you are using hub. With a z-wave light switch or a zigbee light switch. 8:00 All smart light switches have controllability via the phone interface. But most often people use voice control. 8:39 smart home wifi light switches work on wifi networks without the need for an additional hub. 9:00 smart home wifi light switches are the future because of their simplicity. 10:00 Wifi light switches require a neutral wire to be wired in so that they have constant power. 12:00 What happens when the wifi network goes down will a smart wifi switch still work? Yes it will. 13:14: The next step after installing a wifi light switch is that you need to download app to connect the wifi app and network. 14:00 With z-wave or zigbee light switches you will need to connect the switches to the hub app for them to then connect to the network. 14:30 Some z-wave or zigbee light switches have different ways of being placed in pairing mode. 17:32 You should be thoughtful about how you add your light switches to the Amazon Alexa app to make them easy to use. You can then group the smart wifi light switch names into a group for a specific names. 18:34 Give a light a specific name such as “couch light” or “fireplace light” then you can group these smart light switches together so that they can be controlled with Amazon Alexa in a group like living room. 19:39 Taking the time to think through your light switch naming convention will be helpful to make things easier in the long run when setting up your home automation system. 23:00 You can automate your lighting with smart plugs for lights that plug in such as a standing lamp or a bedside lamp. 23:40 Smart wifi plugs are easy to set up no wiring required. The light switches can be placed in pairing mode and connected to the app very quickly. 24:35 once you have a smart skill already added to Amazon Alexa if you add additional devices from the same manufacturer you don’t need to re-enable the smart home skill. Amazon Alexa will automatically search for the new devices and add them to your smart Amazon Alexa control. 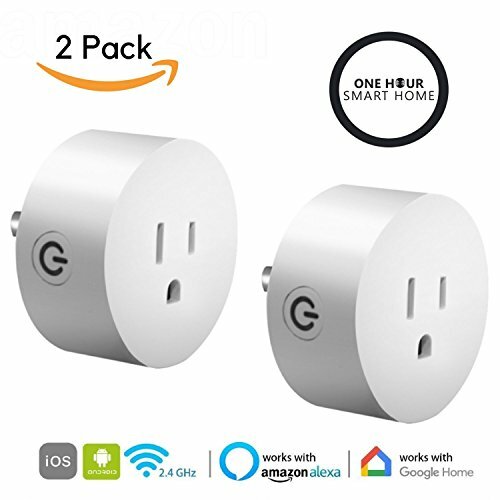 25:45 Smart wifi plugs are a great place to get started with smart home lighting control. 26:00 Lighting is one of the best features you can add to your home. 26:40 Adding smart home lighting to your home will increase the value of your home. 32:00 Eero is a great wifi router for large homes and is easy to install. Eero is the best system for smart home networking. 33:00 all smart home wifi light switches connect on the 2.4 GHZ network for connection. What devices do I have in my smart home?